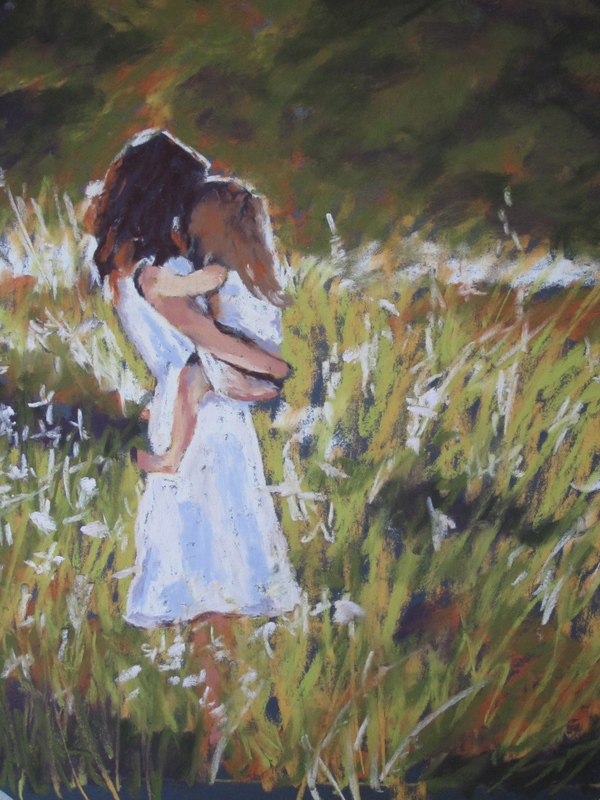 I painted this thinking about the tender relationship between mother and child. I have a friend whose mother has just been diagnosed with brain cancer, and another friend whose 4 year old is also struggling with brain cancer. The time we have with our children and our parents is so precious, sometimes we need a reminder of how fragile life is. I enjoyed all the paintings very much. Alot of talent!! Your dad is at my workplace bragging about your art, and usually when parents show me artwork I only pretend to be impressed because I’m a pretentious amateur artist and I’ve seen a LOT of art. But when your dad pulled up this site I was floored. You have a gift. I feel privileged to have seen this piece in particular, which your dad made a point of showing us. I can’t wait to get home and look through the rest of these. I’m so glad your dad came in to my workplace today and showed this to me. I really love this painting and would like to know if it it for sale on canvas. Please let me know. Dear Olivia, I somehow never saw this. Are you still interested? Yes, I can help you with a print on canvas. I painted this painting when brain cancer struck two friends in the same month. One friend’s 3 year old, and another friend’s 50 year old mother. My own mother was much older than 50, and I have 4 kids. Both my friends pain weighed heavy on my heart. I painted “Let me hold you a little longer” as a way to connect with the relationships I hold most dear. I wasn’t ready to loose my mom or my kids, so I tried to be grateful that I could still hold them both for now. Email me at: julianacrownover@gmail.com to talk details about the print. I’m in love with your paintings.. and a few of them depicted so beautifully a vision that I had recently and that I’ve been blogging about. So.. I really hope it’s ok, but I’ve used them in my blog posts. I link back to you in every post so people can see where they came from! Thanks for sharing these pieces of yourself with us! !